We pride ourselves on being a moral nation. What do we do when our government enacts an immoral policy? How can we stand by while our government separates children, including babies and toddlers, from parents at our border, often after arduous journeys, seeking a better life for their families? Isn’t that the fundamental basis of the American Dream? Judges have ruled this inhumane policy cannot stand, but most of the children are still apart from their parents, terrified and traumatized. The parents are rightly distraught. Mrs. Bush is not alone. Citizens, politicians religious and foreign leaders have spoken out against the morally-bankrupt policy. Some have described it as state-sponsored child abuse. Seeing a 1-year-old bawling alone in court because the government insisted children should not be accompanied at their hearings, makes one agree with the description. The official, tone-deaf and mind-boggling response from U.S. Attorney General Jeff Sessions was that the ends do justify the means. Inconceivably, Mr. Sessions turned to the Bible as the authority for the policy, citing Paul’s epistle to the Romans. Coupled with the inhumanity of the actions has been what looks like utter incompetence. The parents at the border received no receipts for their children. Mounting evidence suggests the government does not know which children belong with which parents. We need to act, individually and collectively, writing, speaking, marching, rallying, lobbying, voting, protesting, making our voices heard. After the German atrocities of World War II, it was said, “Never again.” Engaged citizens at all levels coming together is the only way to protect and sustain the values of our country and ensure inhumanity to fellow humans truly happens never again. We must reunite all the detained children with their parents. Going forward, we must ensure we have policies that prevent this from ever happening again. We must protect the values of our country and remember what truly makes us great. Government is all of us. We are the United States of America. We are a democracy. We the people must do this. 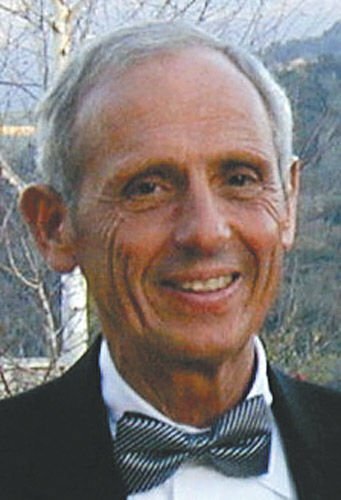 Bill Cirone is the former Santa Barbara County Superintendent of Schools, now retired.